Many people wonder what the difference is between a psychologist and a psychiatrist. For starters, the names are so very similar so it is commonly misunderstood that the professions are one and the same. There are distinct differences, however, both in the scope of duties performed by each, and the education needed to succeed in the field. 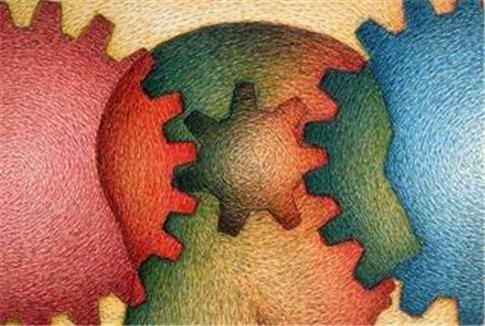 Psychologists are students of the mind, studying human behavior on many different levels. Psychology is a broad scientific field, which is appropriate given that human beings represent a broad range of behavioral and mental conditions. A psychologist might work exclusively with institutions to research and test the way our brain works. Most are specialists in clinical psychology, helping the mentally ill cope with the day to day problems of living in a society that doesn’t quite understand their needs. They might even be instrumental in developing innovative treatments for psychological disorders such as depression and bipolar disorder. Some psychologists have private practices that work directly with patients who are struggling through social and emotional problems such as divorce or grief. In this regard, a psychologist performs the same role as a counselor but with a higher level of educational expertise. Perhaps one of the greatest differences between a psychologist and a psychiatrist is that a psychiatrist is also a physician. He/she practices medicine and must attend medical school. That is an important distinction to make because a psychiatrist can prescribe medication, whereas a psychologist cannot. That isn’t the only role of a psychiatrist. They work directly with patients to provide a variety of treatments, including hospitalization and even some direct counseling. Psychiatrists work closely with neurologists, surgeons and other medical practitioners to bridge the connection between the mind and the body. To be licensed as a psychologist, you must obtain a doctoral degree, either a Ph.D., Psy.D., or Ed.DA. In addition to these educational requirements, you must also spend a few years gaining experience in a clinical setting. Psychiatrists must attend four years of medical school and undergo intensive training afterward, often taking up three to four years of residency to become licensed. A Psychologist is free to deal with more intangible aspects of mental health such as social issues and environment, whereas a psychiatrist is tasked with being the medical expert on mental health and behavioral issues. Nowhere is this distinction more evident than in the pay scale of the two professionals. A psychiatrist earns an average wage of $163,000 a year, whereas the average psychologist makes between 50 and 60 thousand. Both psychologists and psychiatrists focus on mental health and strive to improve a person’s connection to the world, both in terms of understanding emotions, behavior and biological processes. Both are practitioners of psychotherapy, where regular meetings are held with clients to discuss and analyze their particular mental health issues. Psychologists focus more on research and development, whereas a psychiatrist is more concerned with the treatments of mental health problems. Their work goes hand in hand, and often a patient will require the services of both to create a comprehensive treatment program.